Jamie M. Cross, 53, of Calvert Street, South Bend, Indiana, passed away Sunday, April 14, 2019 at Trail Point Village, South Bend, Indiana. Jamie was born December 27, 1965 in Glen Cove, New York to James Johnson and Doris (Smith) Satchell. 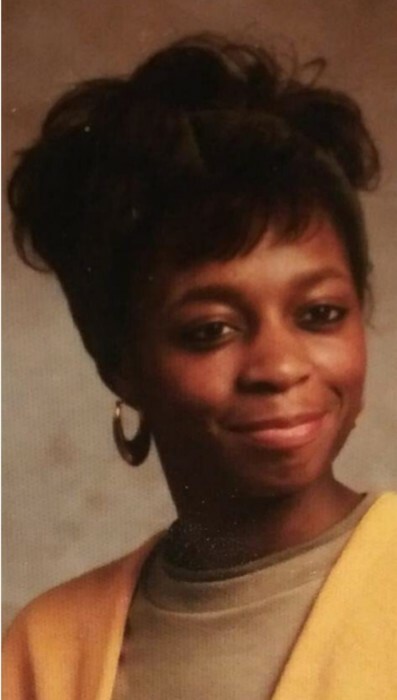 Survivors left to cherish her loving memory include two daughters: Latasha and Lynndean Cross; six grandchildren: Promise, Ra’Mya, Ja’Stiss, Kam’Rynn, Care’Riss and Cer’Riya; four sisters: Alacyn Smith, all of South Bend, Indiana, Deidre Johnson, Dawn Roulhac and Shana (Brian) Parker, all of Clarksville Tennessee, three brothers: Barry Johnson of Long Island, New York, Kevin Roulhac of Clarksville, Tennessee, and James (Tia) Johnson of Charlotte, North Carolina; also a special person in her life, James A. Cross of South Bend, Indiana; along with a host of other relatives and friends. There's still time to send flowers to the Visitation at the Alford's Mortuary Chapel from 5:00 PM to 6:00 PM on April 21, 2019.